PM Modi also wished Congress leader Amarinder Singh on his 75th birthday. New Delhi: Prime Minister Narendra Modi on Saturday called up Congress leader Amarinder Singh to congratulate him on the electoral victory in Punjab. "Spoke to @capt_amarinder & congratulated him on the win in Punjab," PM Modi tweeted. His tweet came as the Congress party was heading towards forming the government in Punjab. The ruling Shiromani Akali Dal-Bharatiya Janata Party combine received a major drubbing in these Assembly elections. PM Modi also wished Mr Singh on his 75th birthday, which falls on the same day. 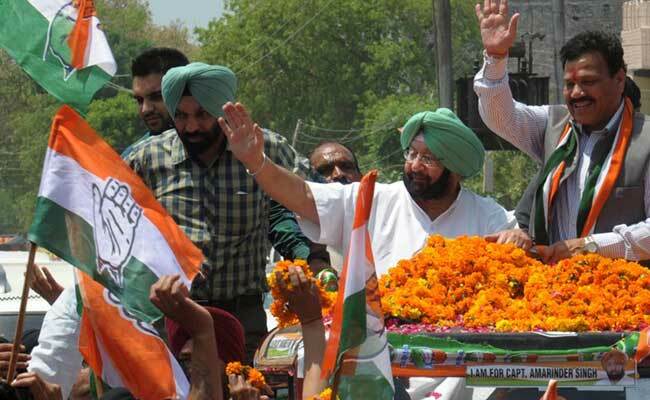 "Also wished him (Amarinder) a happy birthday & prayed for his long & healthy life," the Prime Minister added. The Congress leader was born on this day in 1942 in Patiala, Punjab.